As you study in the WVBS Online Bible School you will soon discover that the level of instruction is equal to and even far superior to many degree granting seminaries and colleges. The school faculty has years of combined study and experience teaching these courses in a classroom setting. Every instructor who teaches in the school is presently, or has been, an instructor in a Bible training school. These men are among the finest teachers available today. One such faculty member is Chuck Horner. He teaches several of our courses including Genesis, Exodus, Isaiah, Mark, James and more. Professor Horner is an alumnus of Drake University located in the United States in Des Moines, Iowa, where he majored in actuary science and minored in accounting. He graduated from the Bear Valley School of Preaching of Denver in 1974. He has served on the administrations of York College and the Bear Valley Bible Institute of Denver. He served both as an instructor and as director in the Southwest School of Biblical Studies in Austin, Texas. In the fall of 1986 he helped start World Video Bible School where he currently serves as an instructor and trustee. We are honored to have Chuck Horner as a part of the school’s faculty. He always does an outstanding job bringing to you instruction from God’s word (see student comments below). The quality of the school is seen in the exceptional talent of its teachers. To God be the glory. Perhaps you have enrolled in the school but have yet to start your first course. Beginning your studies is easy to do. First, you simply need to choose the course you would like to study from the “Course Schedule” option located on the blue menu bar of the school website. The “Course Schedule” order reflects the designated order that Formal Students must follow. Informal and Auditing Students are recommended, but not required, to follow this schedule. Once you have selected the course you will then need to register for the course by clicking the “Register” button located on the course page. Once this is done you will have full online access to the course. You can begin watching the videos immediately. Simply click the “Lesson 1” link. From each lesson page you will be able to view a 30-40 minute video lesson. You may register and begin viewing the courses at anytime. There is no official start time for any of the courses. They are always available - 24/7. On the “Course Schedule” you will notice we have all courses available for immediate online viewing except Daniel. We hope to have the Daniel course available in the months to come. 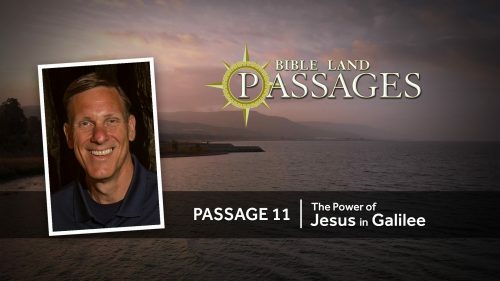 "Passage 5 | Treasures of Qumran: The Dead Sea Scrolls" is a 24-minute documentary offering the viewer a tour of the home of an ancient Jewish sect thought responsible for producing the Dead Sea Scrolls. We examine three magnificent treasures: the devotion of Qumran’s inhabitants, the place they called home, and the oldest copies of the Hebrew Bible ever discovered. These videos may be found under the "About" option on the blue menu bar by clicking the “Recommended Videos” link. When you click this button you will be taken to a page which will be continually updated with information concerning free videos available for online viewing which may be of interest to you.